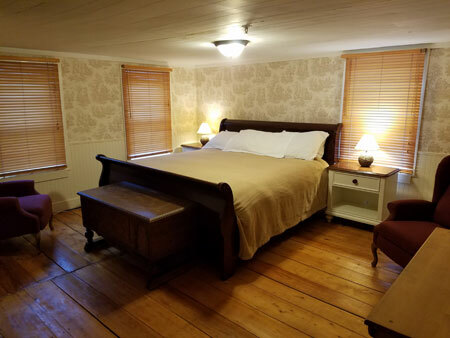 We have a variety of North Conway, NH room options to choose from, whether you need a suite with five beds or a standard queen room. 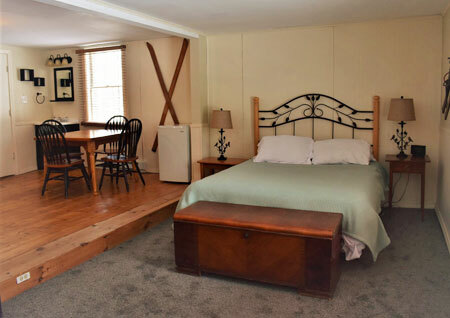 All our rooms come with private bathrooms; most have full tubs and some have shower stalls. Each room has a brand new TV in it and comes with HD cable and a Blu-Ray/DVD player, as you will have access to our library of movies. 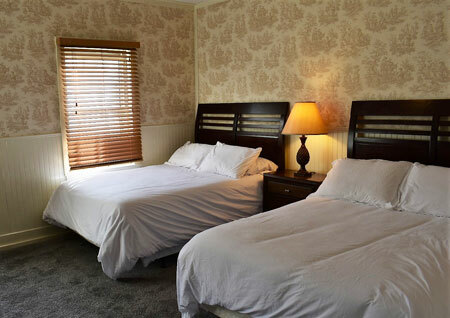 High speed wi-fi is available in every room and all common areas of the Inn. Our fresh local continental breakfast is included with every room, and is served from 8am-10am at our dining room breakfast bar. 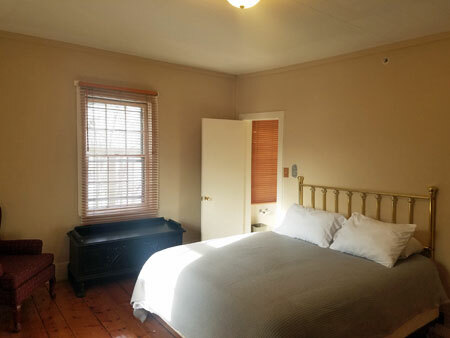 (maximum of 4 guests): Located on the second floor, this newly carpeted and beautifully furnished room comes with two full/double beds and a private bath located just around the corner from the sleeping area, as well as a 55″ TV with Blu-Ray/DVD player. 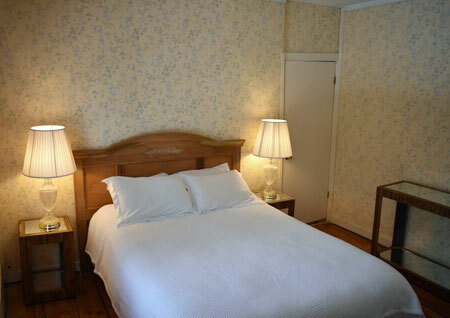 (maximum of 2 guests): Newly renovate queen room with private bath, one of only two rooms located on the first floor. New carpeting throughout and comes with 48″ TV with Blu-Ray/DVD player. (maximum of 2 guests): Beautiful hardwood floors with a cozy step down to the newly carpeted queen sleeping area, with toasty glass fireplace and wall-mounted 55″ TV with Blu-Ray/DVD player. Includes private bath along with kitchen table & chairs and mini-fridge. 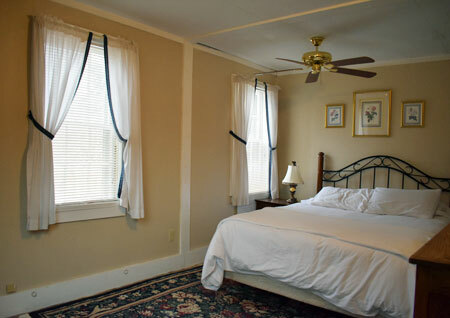 (maximum of 2 guests): Quiet queen room with private bath that includes a relaxing jetted tub. Comes with 48″ TV with Blu-Ray/DVD player. 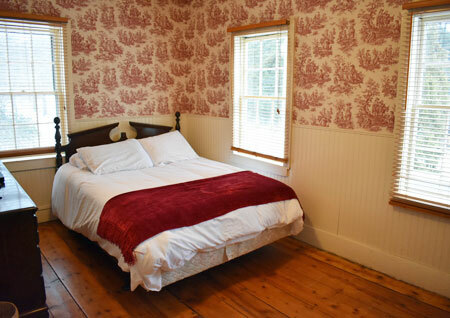 (maximum of two guests): Queen room with beautiful wide-plank hardwood floors, private bath & 48″ TV with Blu-Ray/DVD player. 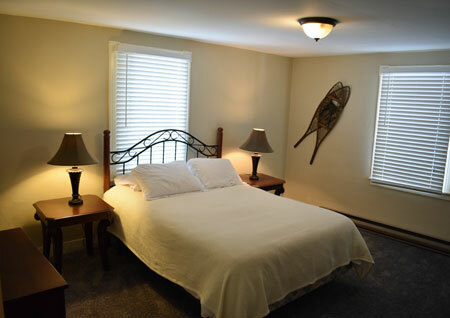 (maximum of 2 guests): Queen room with gas fireplace, private bath & 48″ TV with Blu-Ray/DVD player. 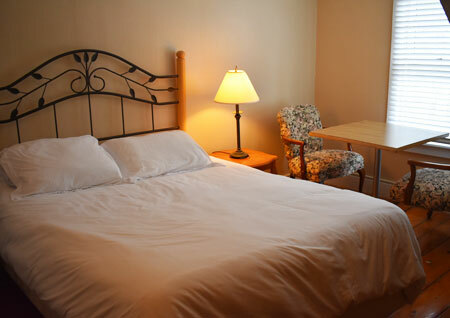 (maximum of 4 guests): This two room suite is private, as each room has it’s own door. 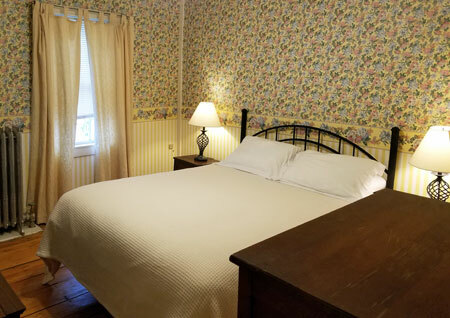 The king room is a large room with beautiful hardwood floors and comes with a 55″ TV with Blu-Ray/DVD player. 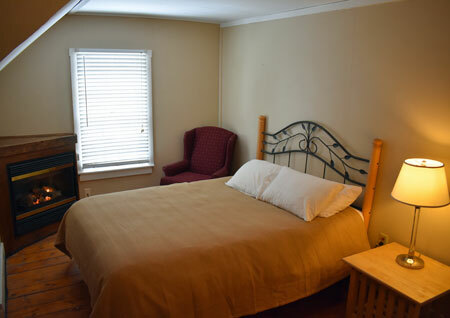 The second room is a smaller but cozy room that comes with a full/double bed and includes a 32″ TV with Blu-Ray/DVD player This suite includes a shared hallway that has a large closet and the bathroom. Recent new owners have made great updates to each room and common area. This inn offers a continental breakfast with fresh pastry from a bakery down the road. It’s spacious enough to not feel crowded. Downtown North Conway is a 2 minute drive or about a 10 minute hike for those ambitious people.